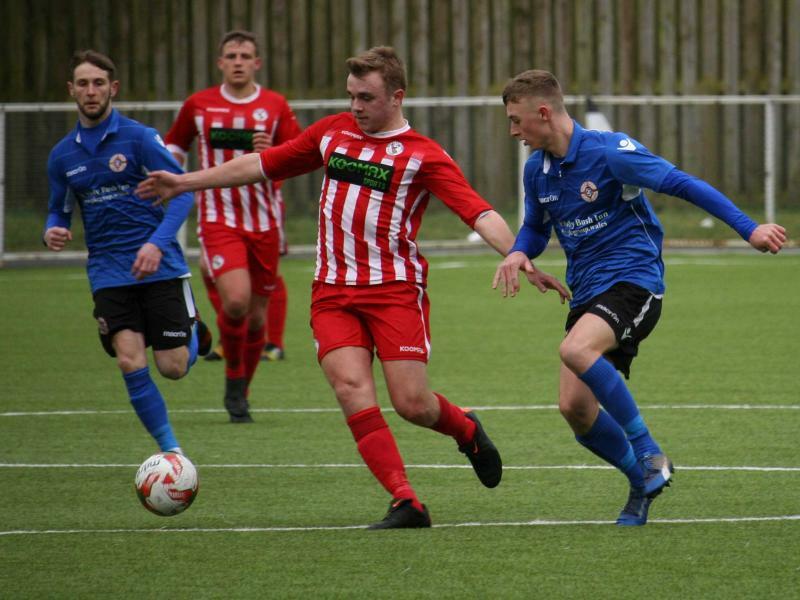 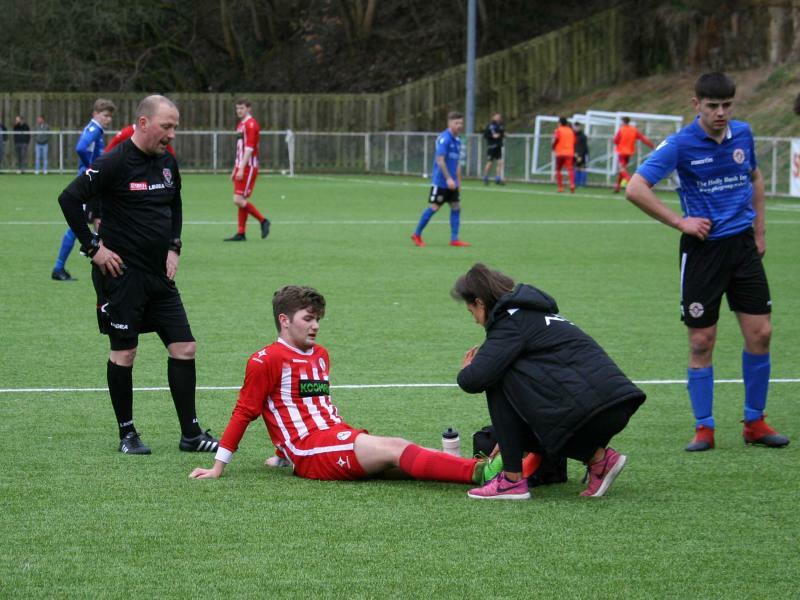 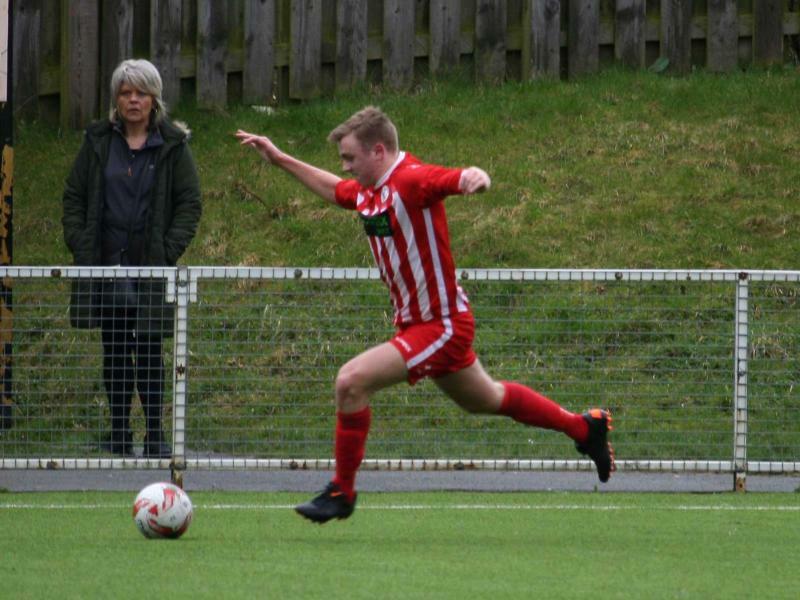 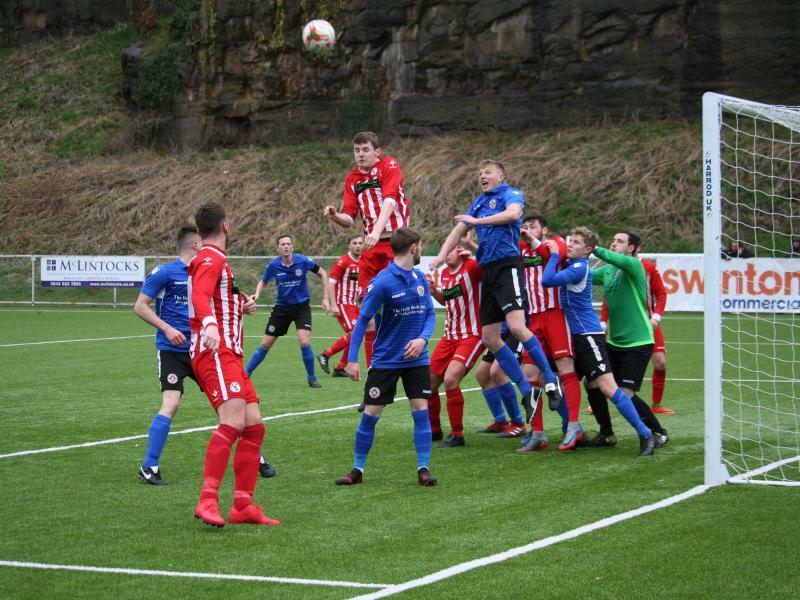 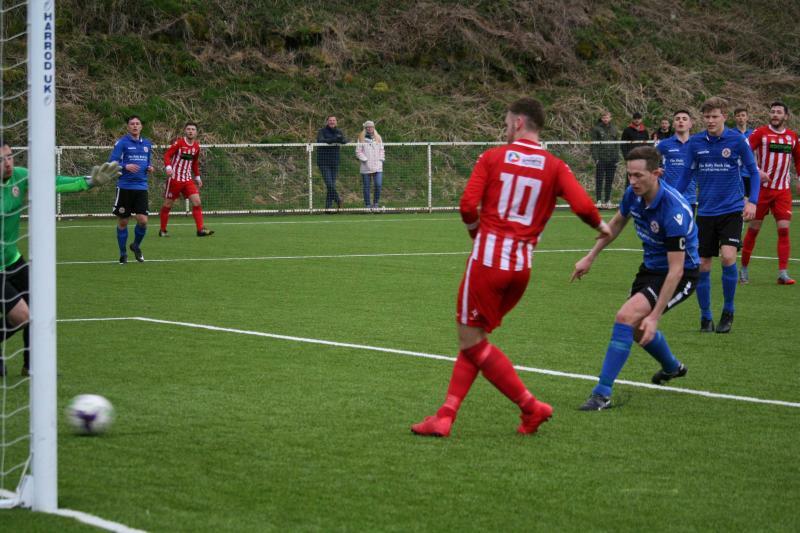 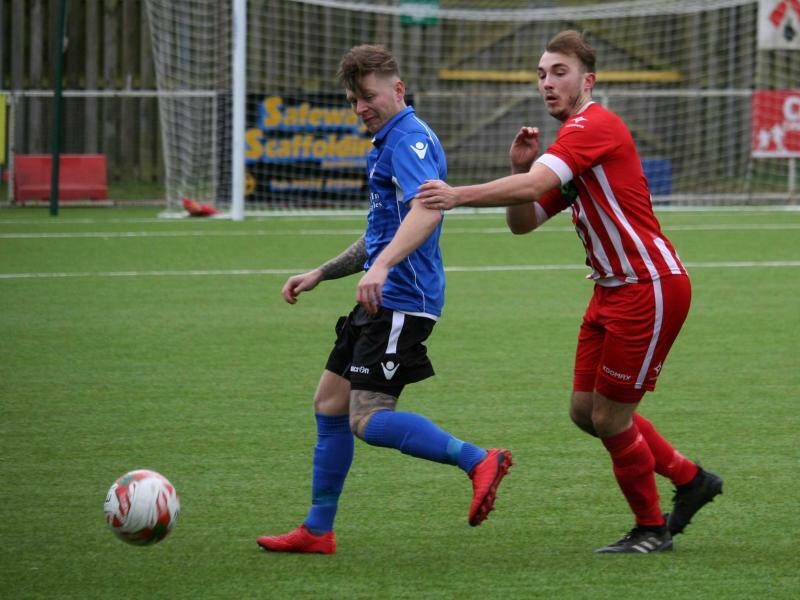 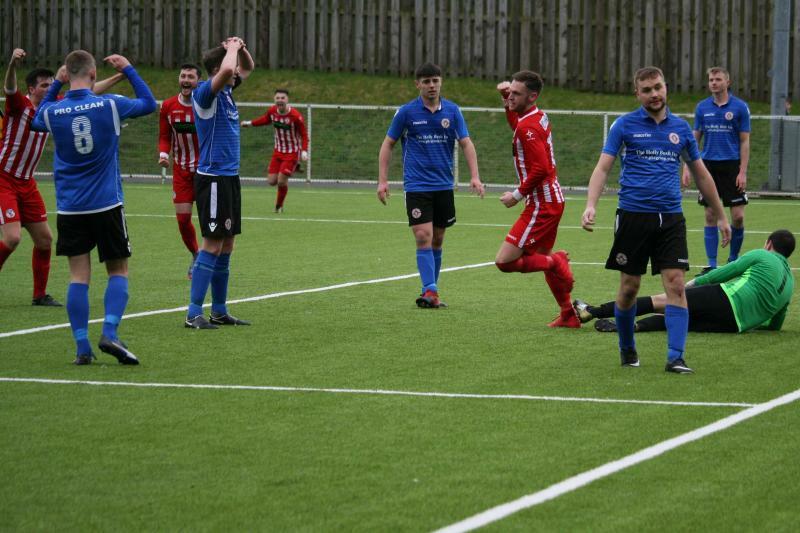 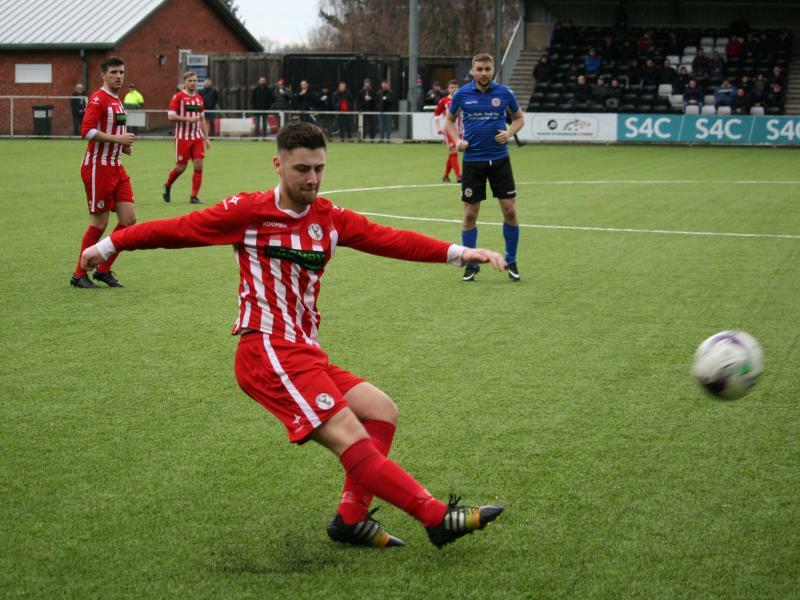 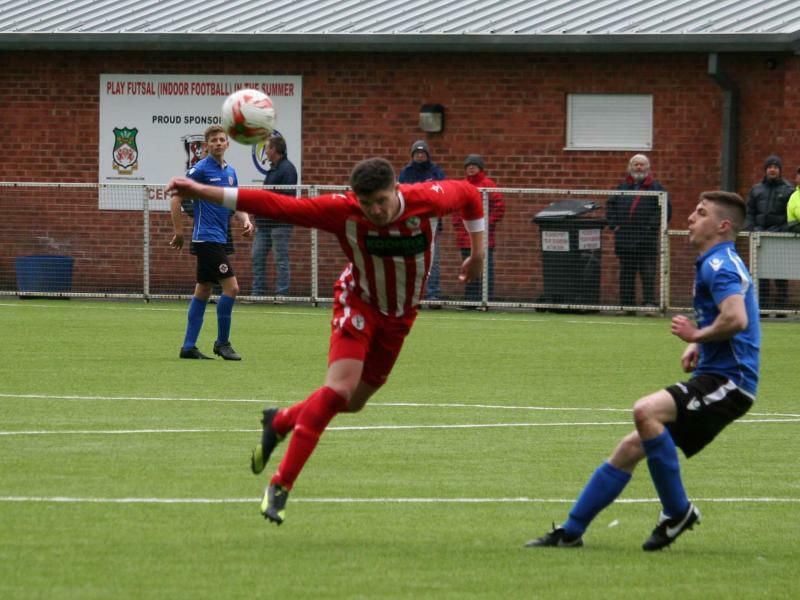 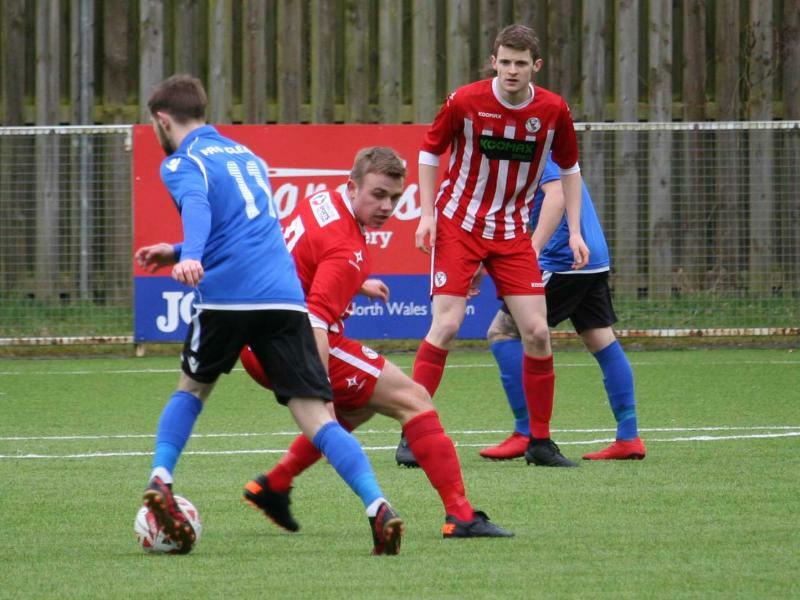 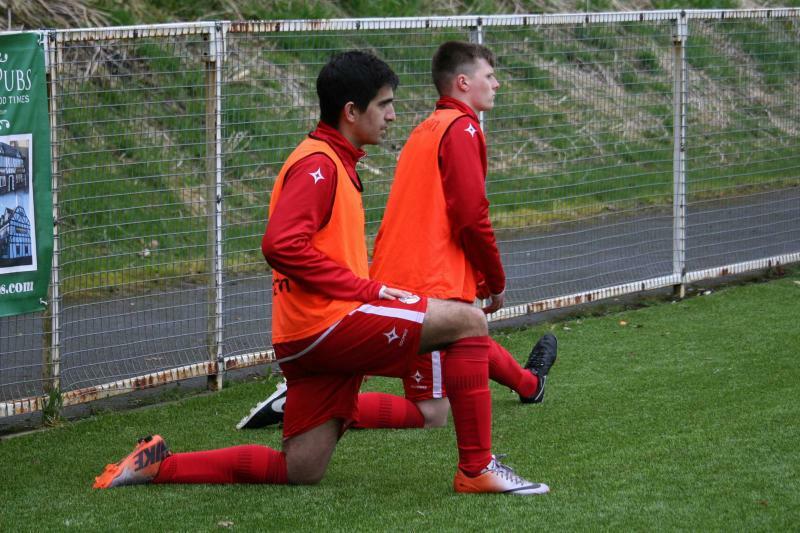 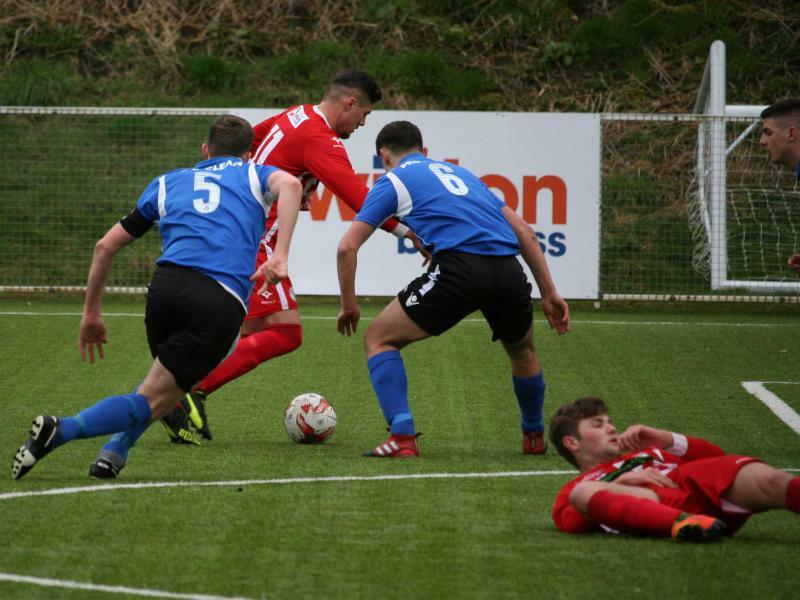 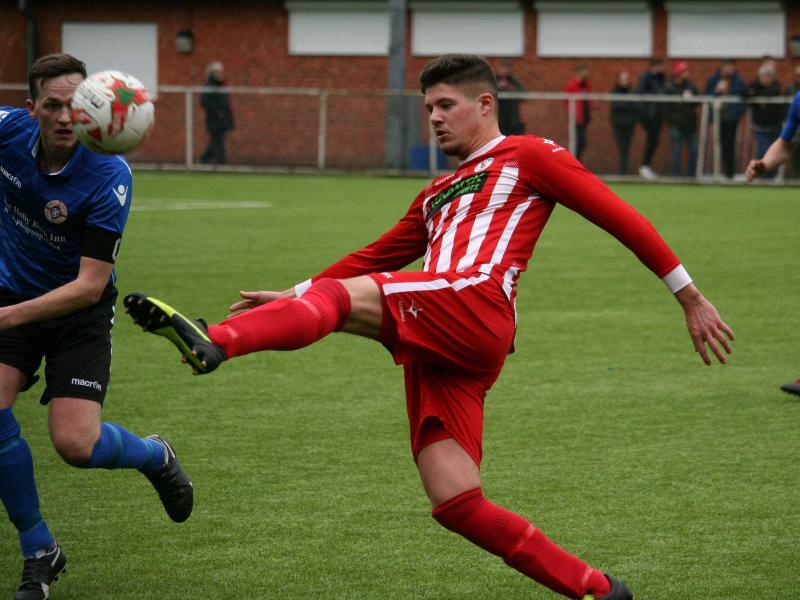 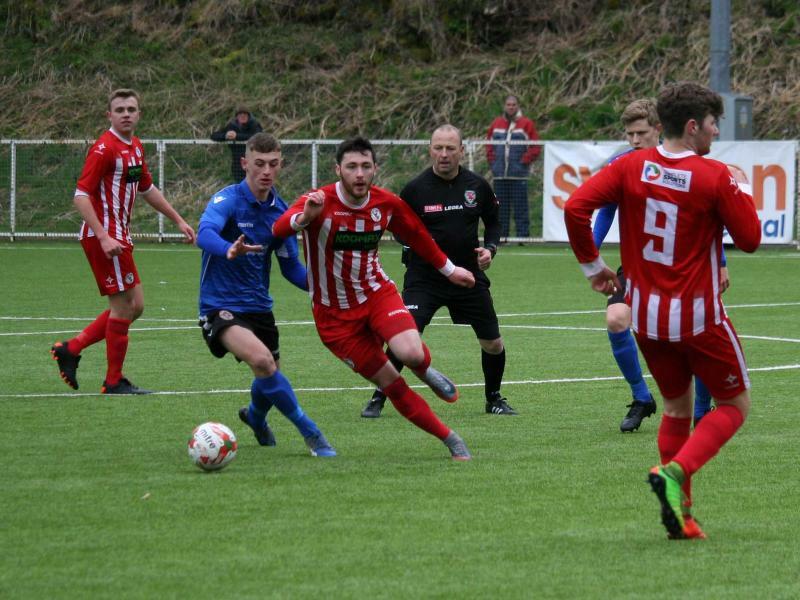 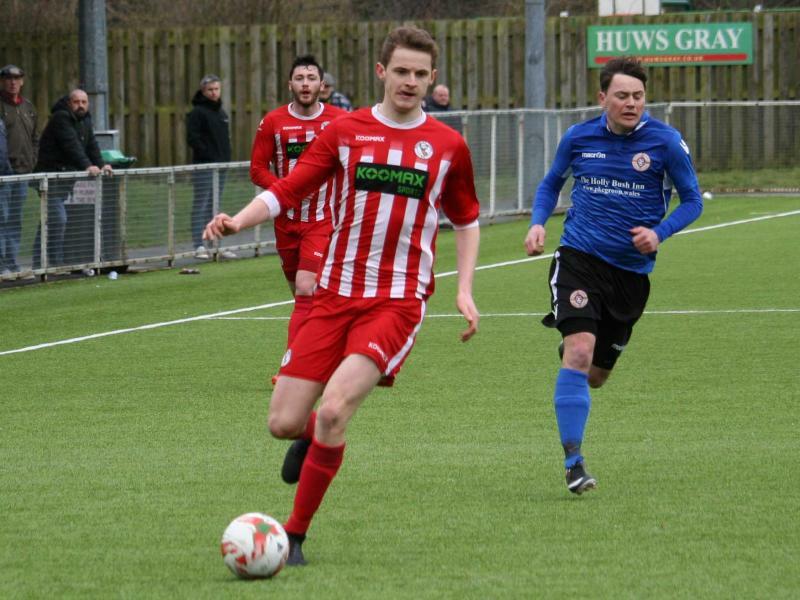 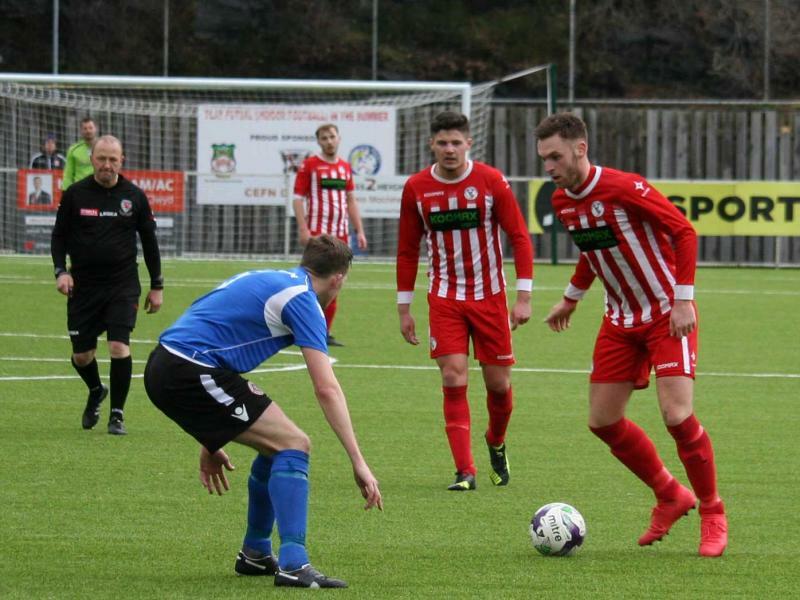 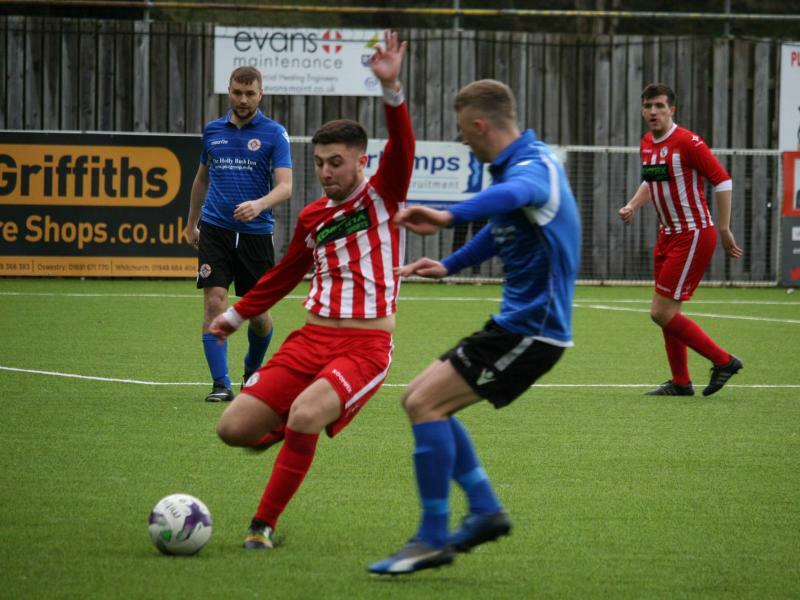 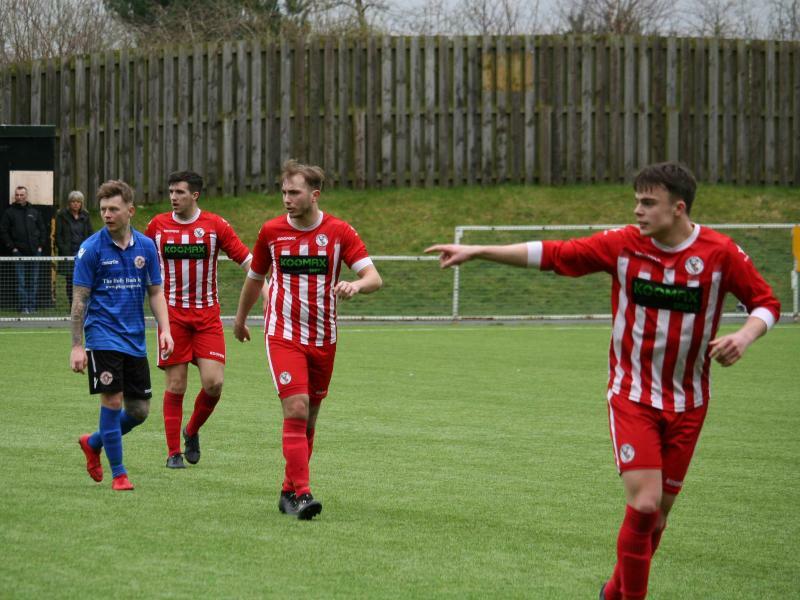 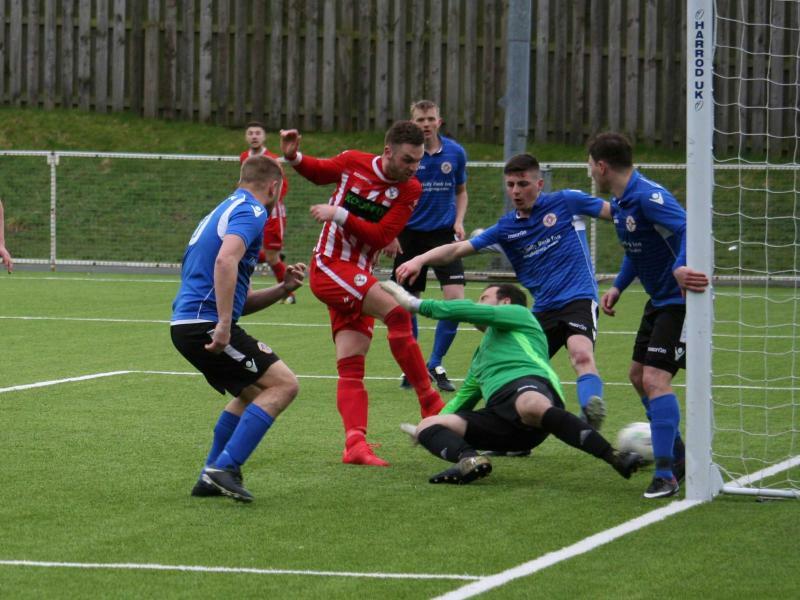 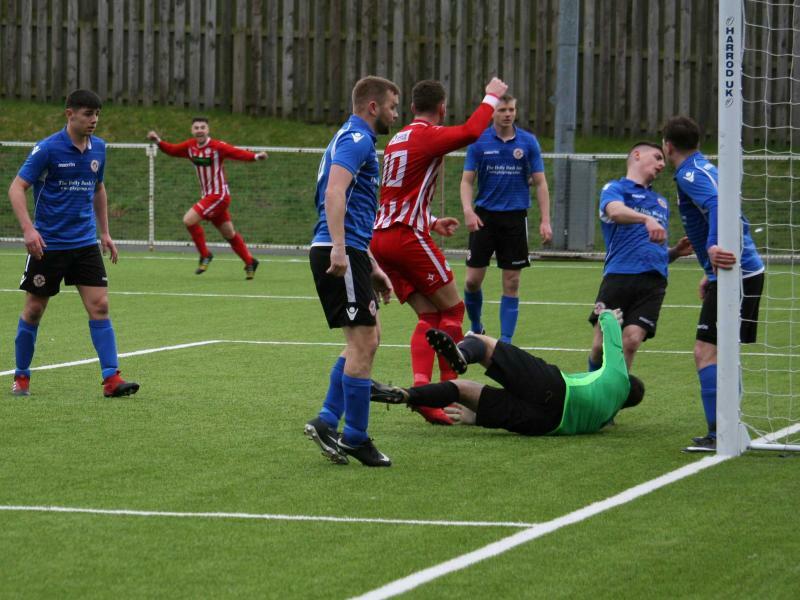 Buckley Town travelled to Cefn Albion for a WNL Premier Division match played at Cefn Druids facility ‘The Rock.’ This 3G pitch allows for free-flowing football and is a surprisingly good surface for sides that like to get it down and play, which both are. 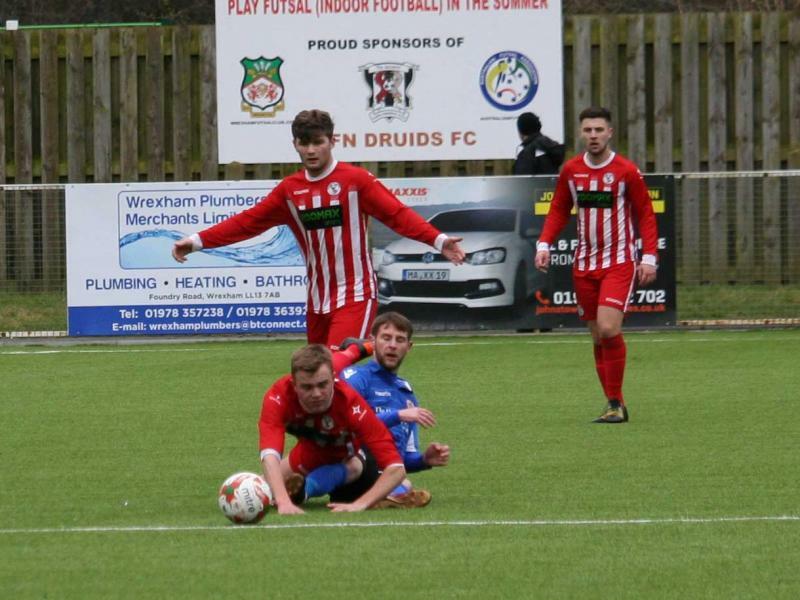 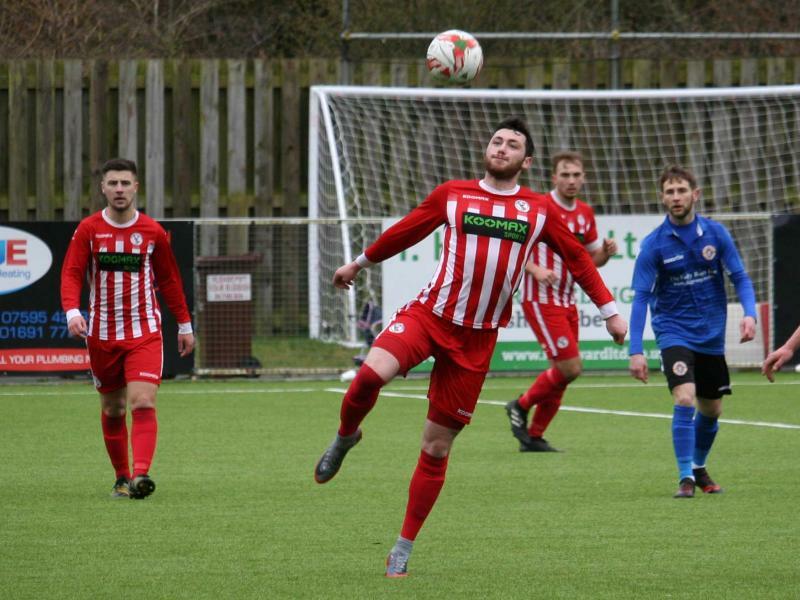 Albion have only been in existence for a couple of seasons but seem to be well established as one of three sides playing football in the small village of Cefn Mawr a couple of miles south west of Wrexham. 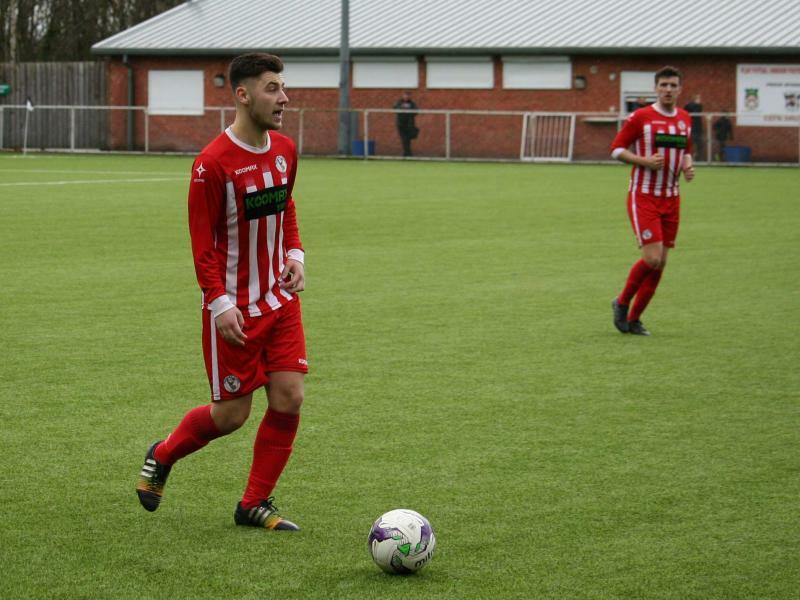 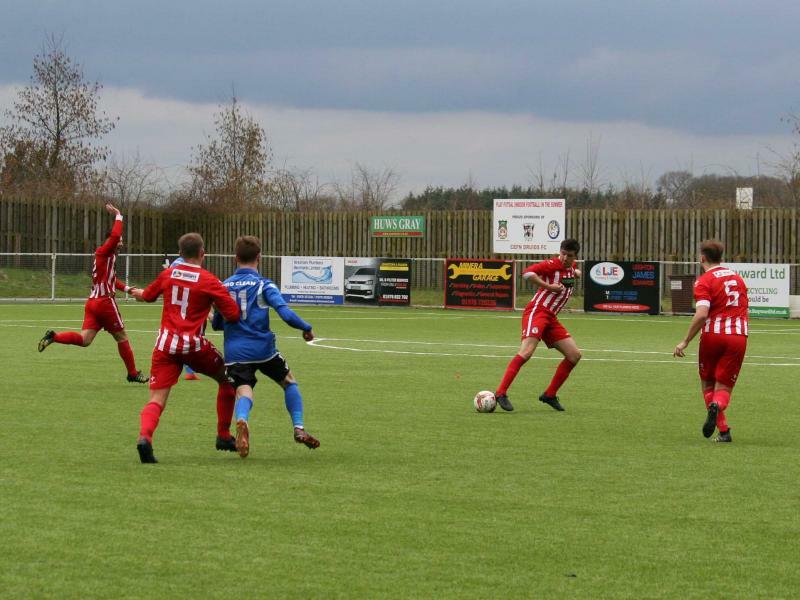 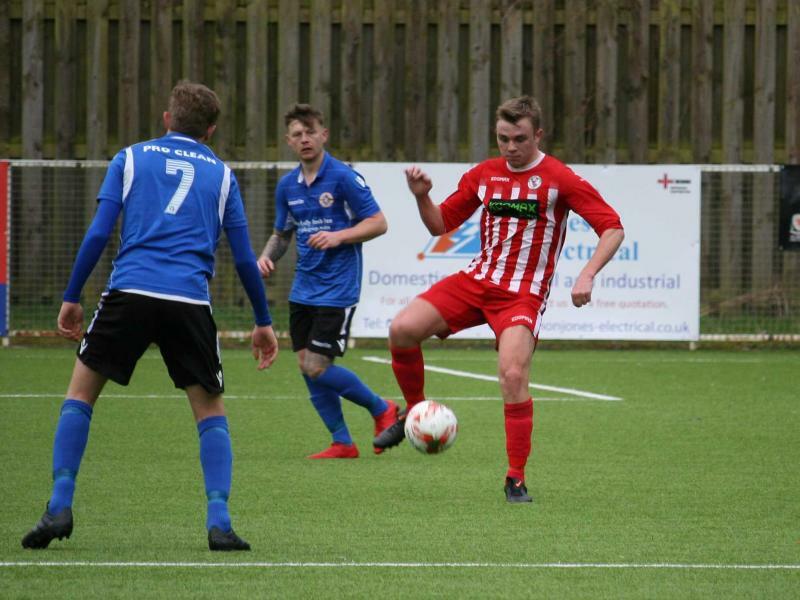 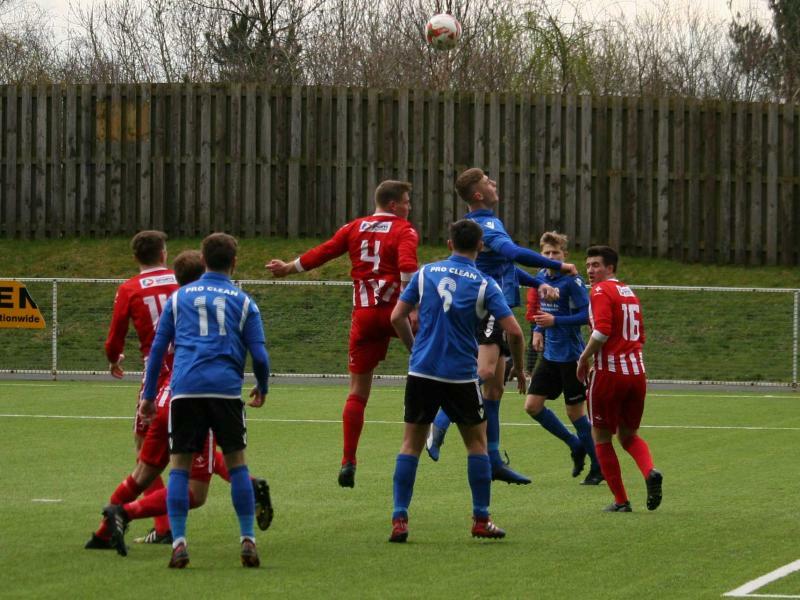 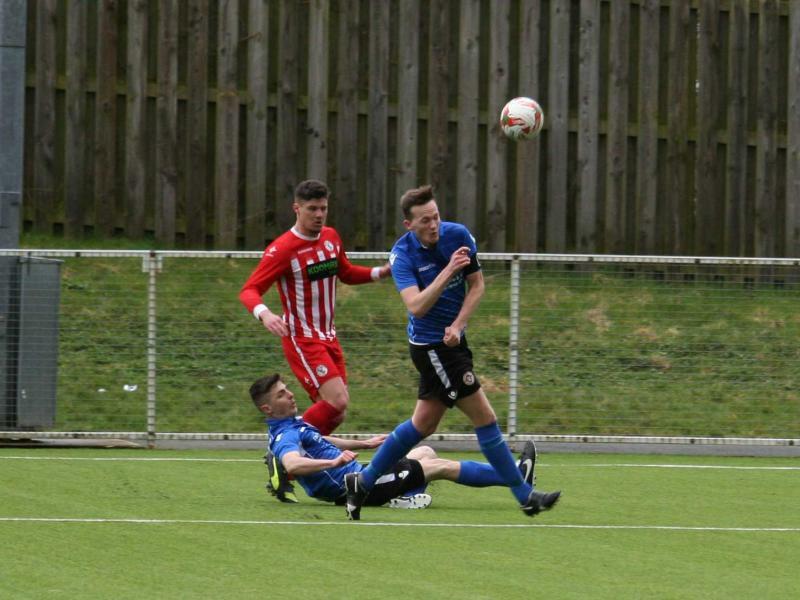 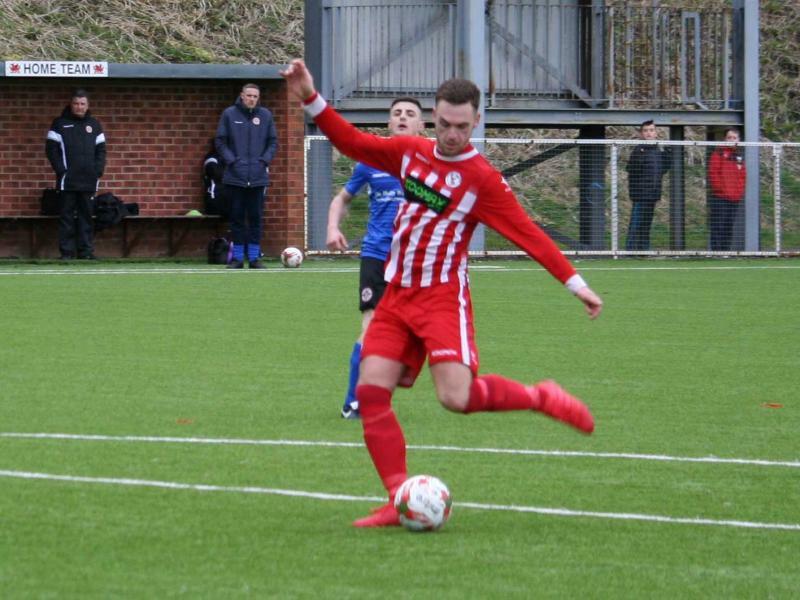 In the first half Albion showed why they currently sit second in the league as they took the game to Buckley. 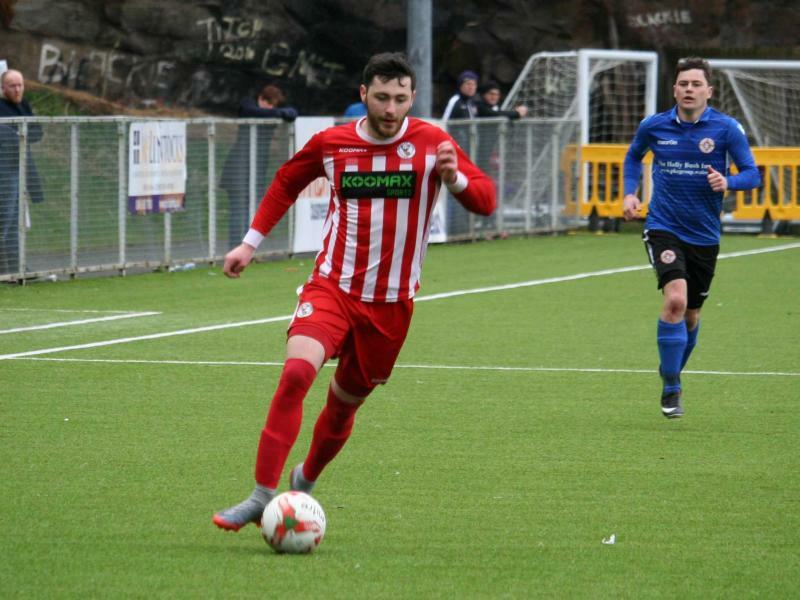 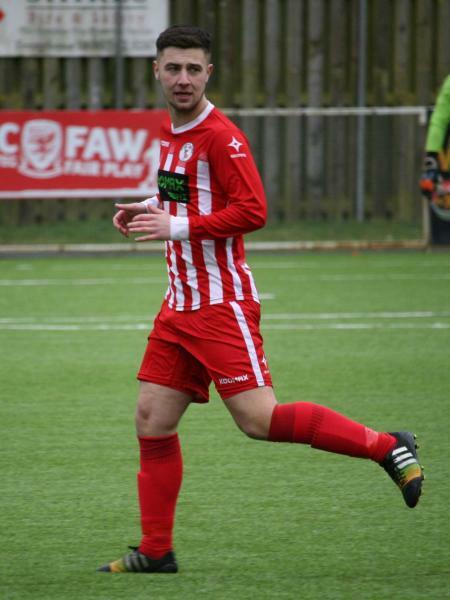 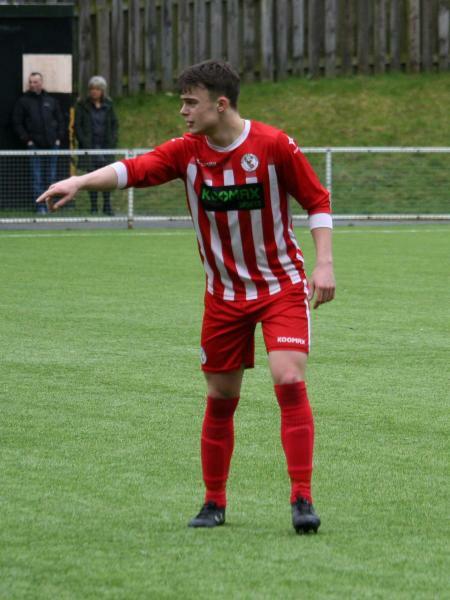 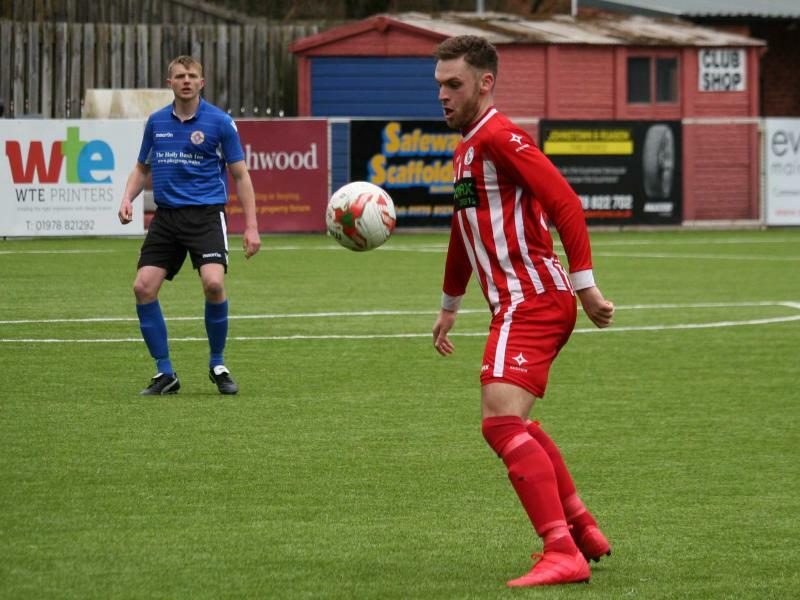 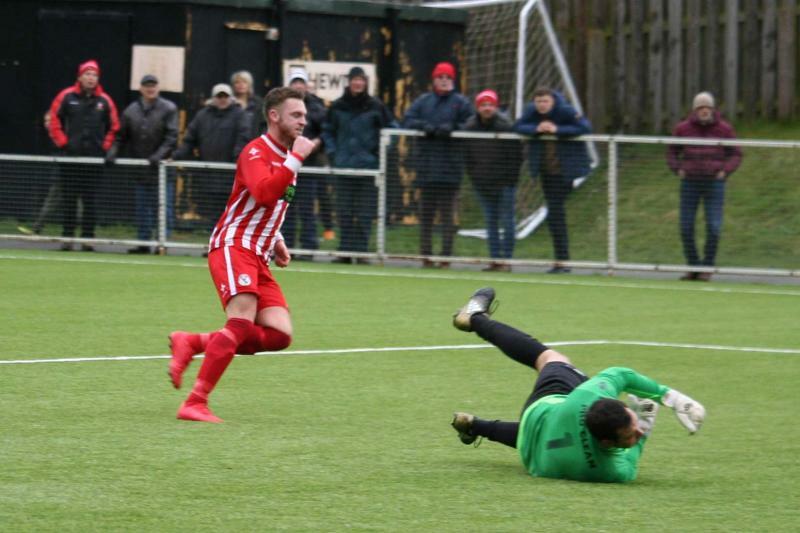 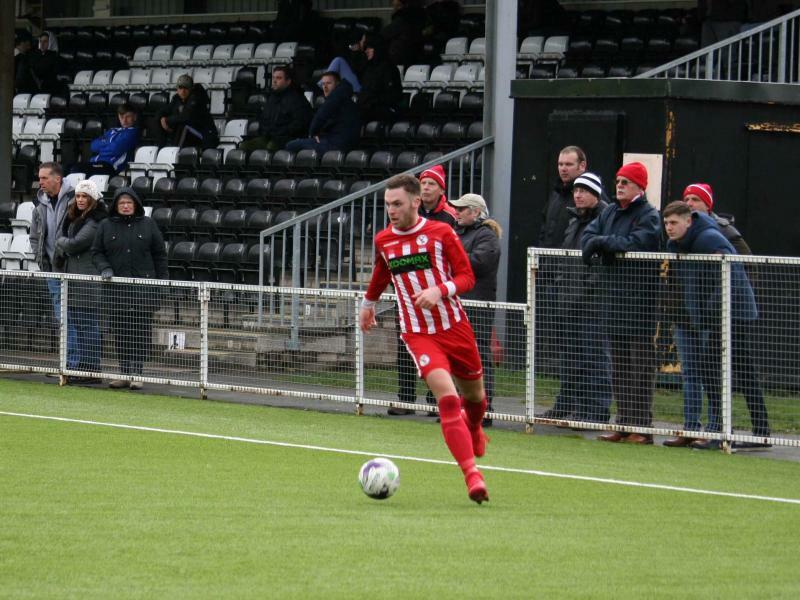 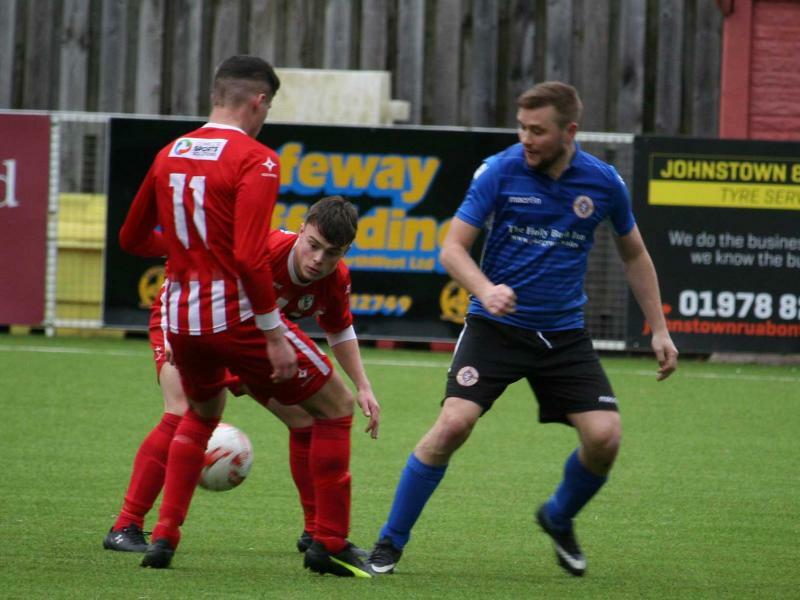 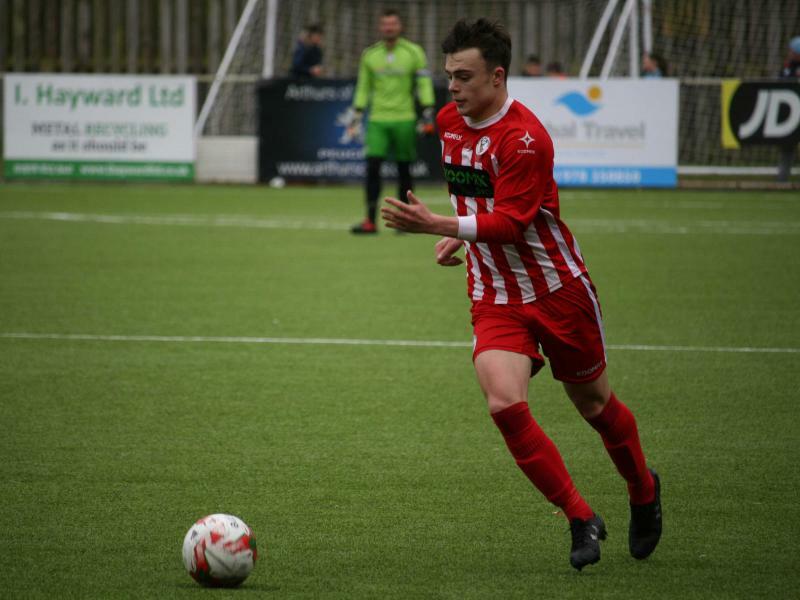 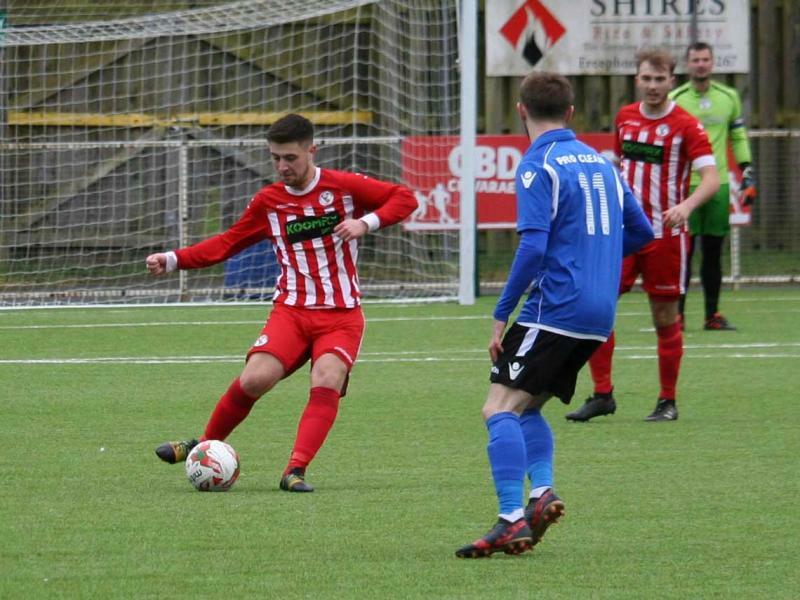 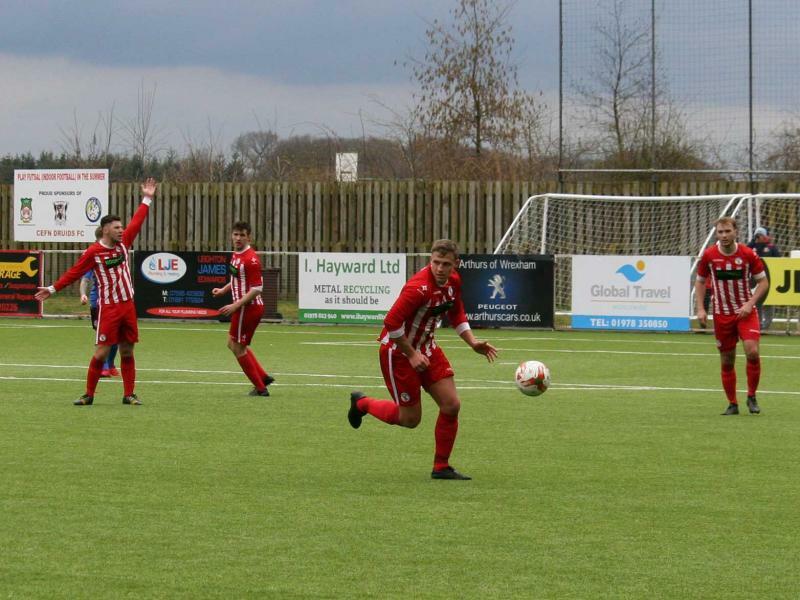 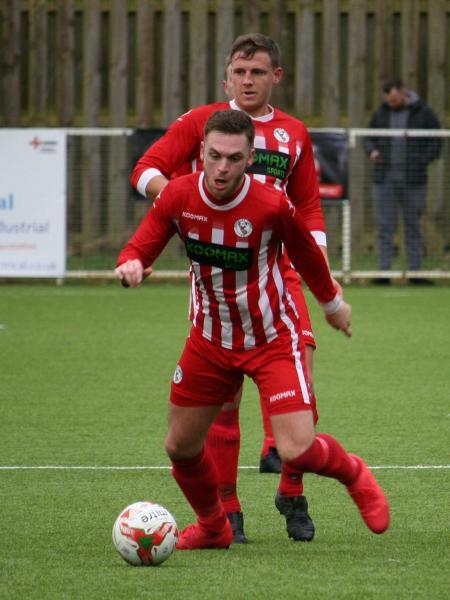 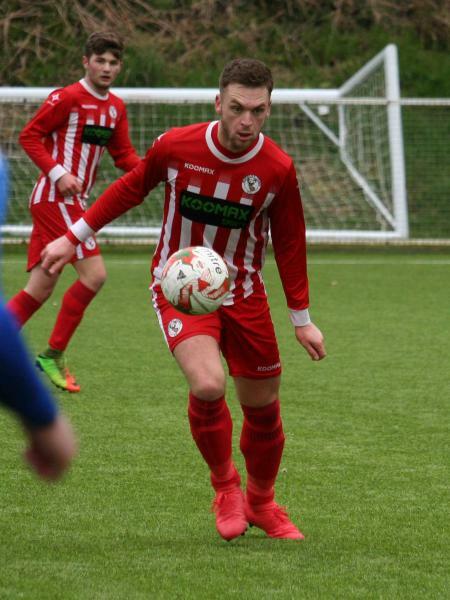 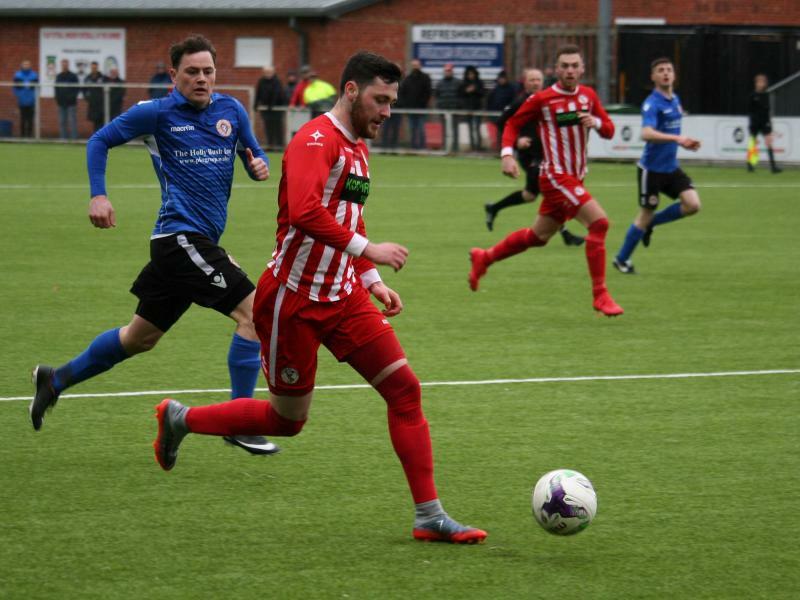 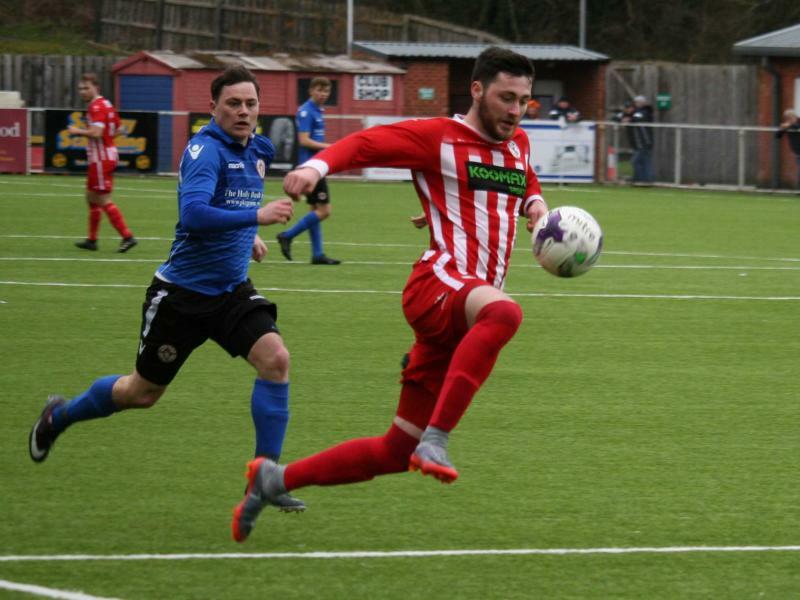 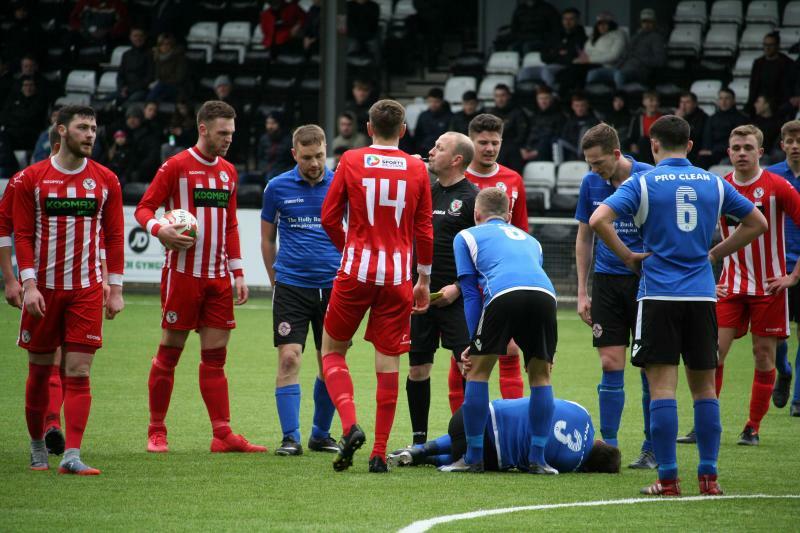 It was an evenly fought contest until the 40th minute when Paul Keenan was played in down the right wing and streaked down the wing pursued by the Albion defence. 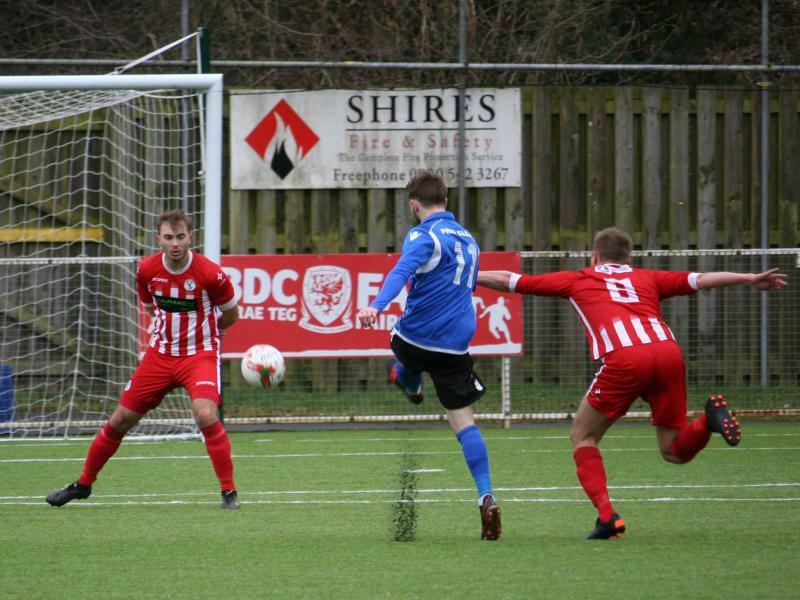 As he entered the box he slowed to fire past the oncoming keeper but was impeded by the left back who brought him down. 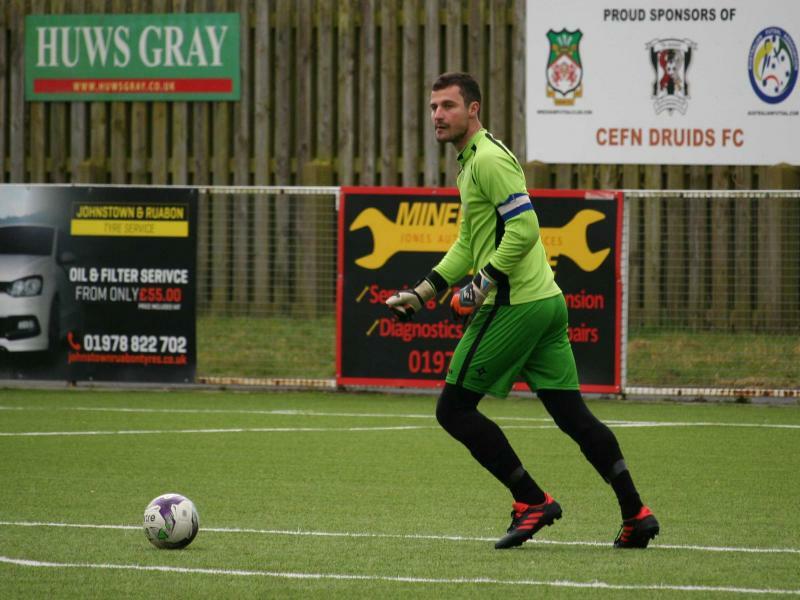 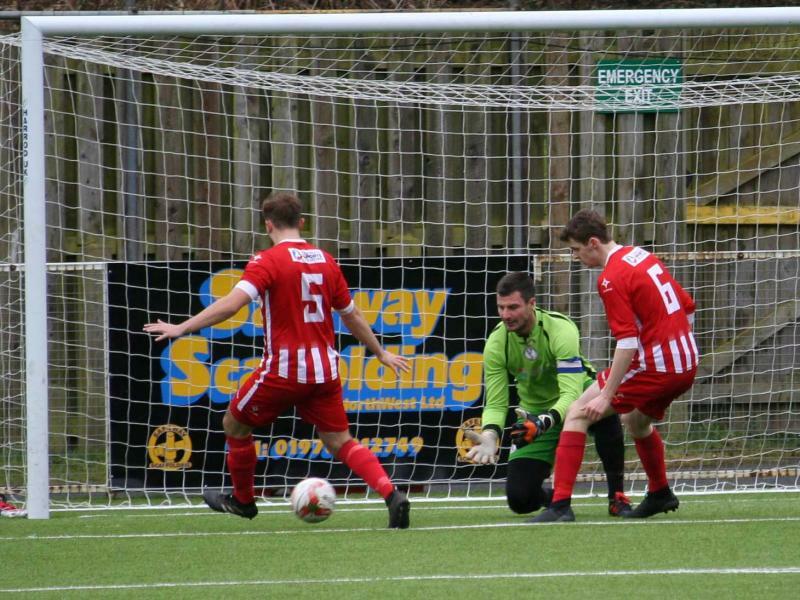 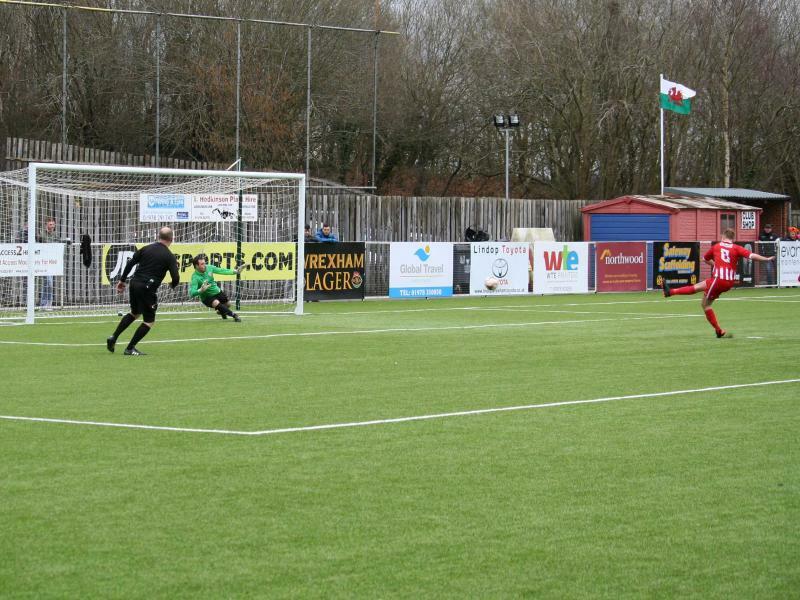 Aled Bellis stepped up and the resulting penalty down the middle giving the keeper no chance. 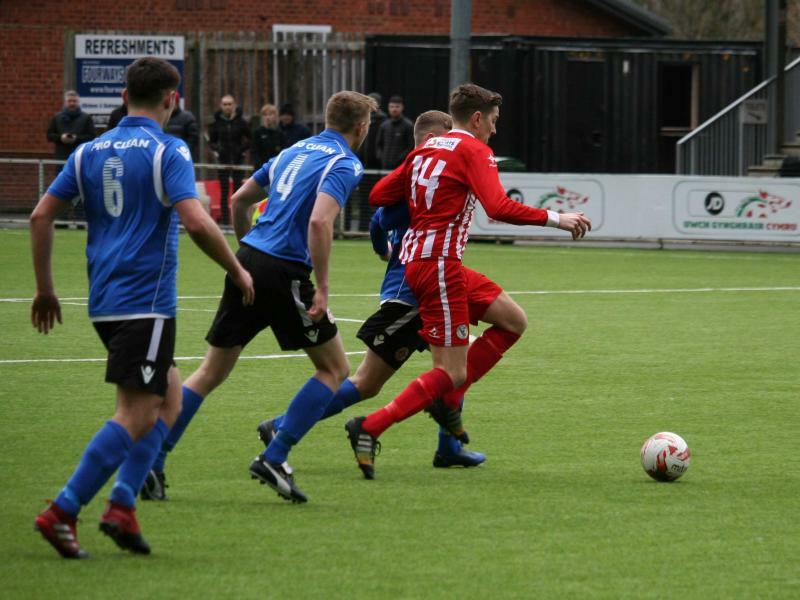 Buckley’s strength this season seems to be that they seem to get stronger as the opposition tire in the second half. 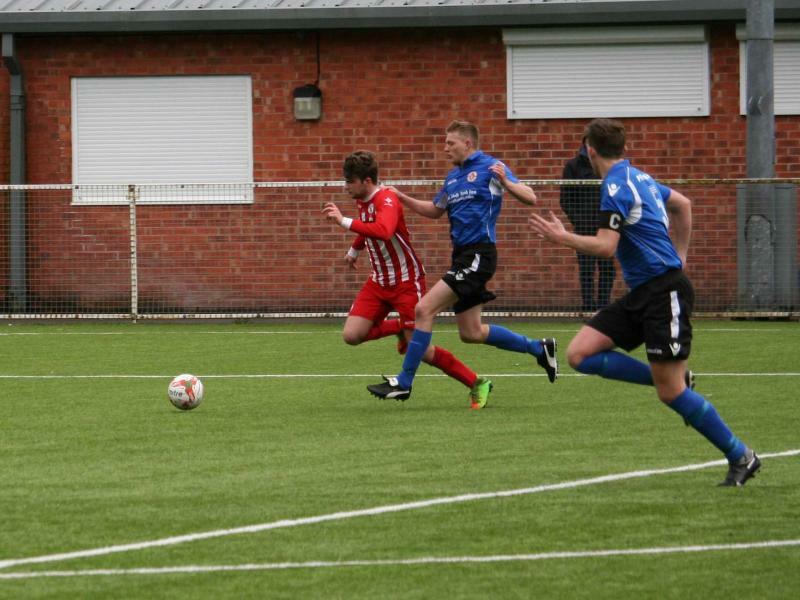 The match was still keenly contested until the last quarter when Buckley won a corner down the left. 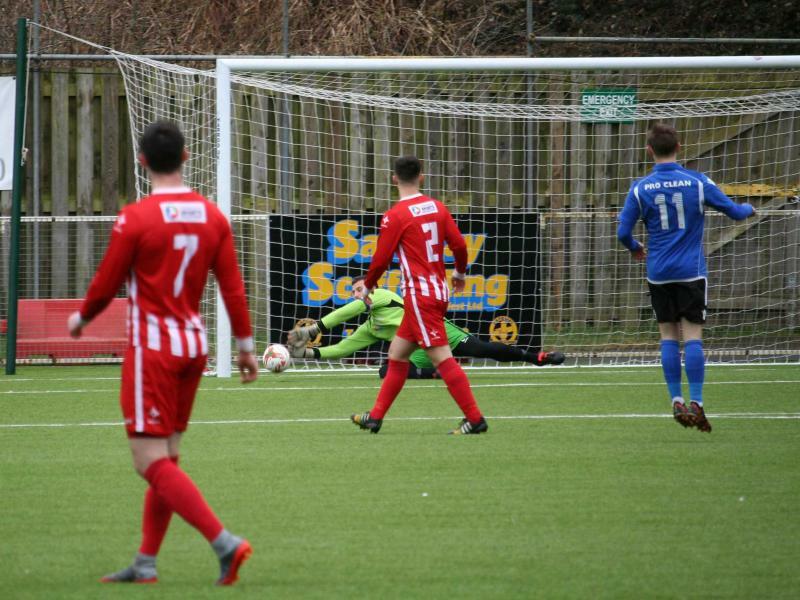 Aaron Williams rose to head it goalward but the ball was deflected to the back of the 6-yard box where Rob Jones was there to fire it back goalward and straight to the feet of Jake Roberts who slammed it home from two yards out. 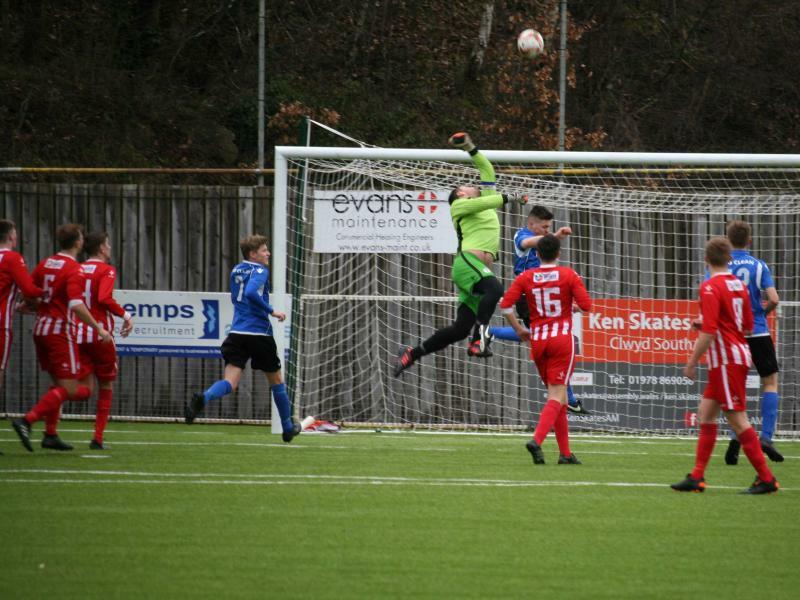 Within two minutes Jake Roberts was put in through the middle and he steered it past the keeper from 18 yards out as the keeper advanced to meet him. 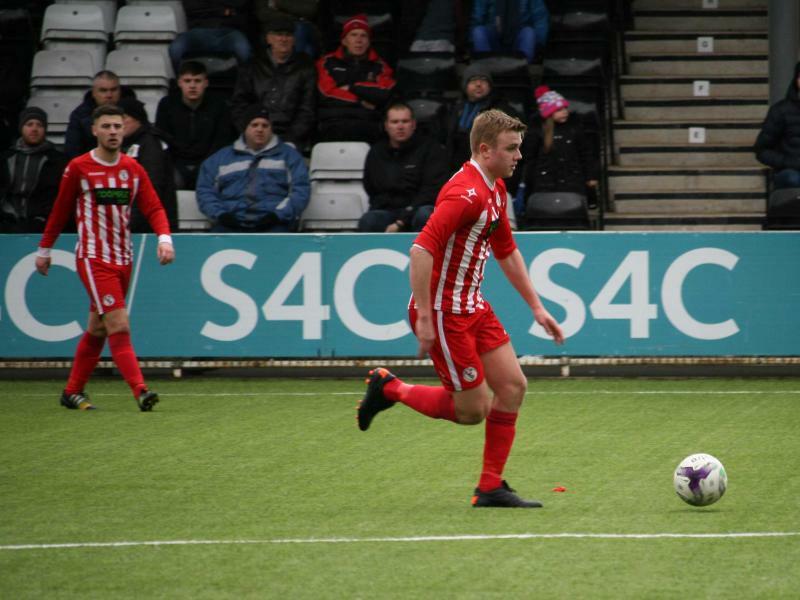 With that the fight seemed to go out of Albion and the game became a succession of Buckley chances on goal. 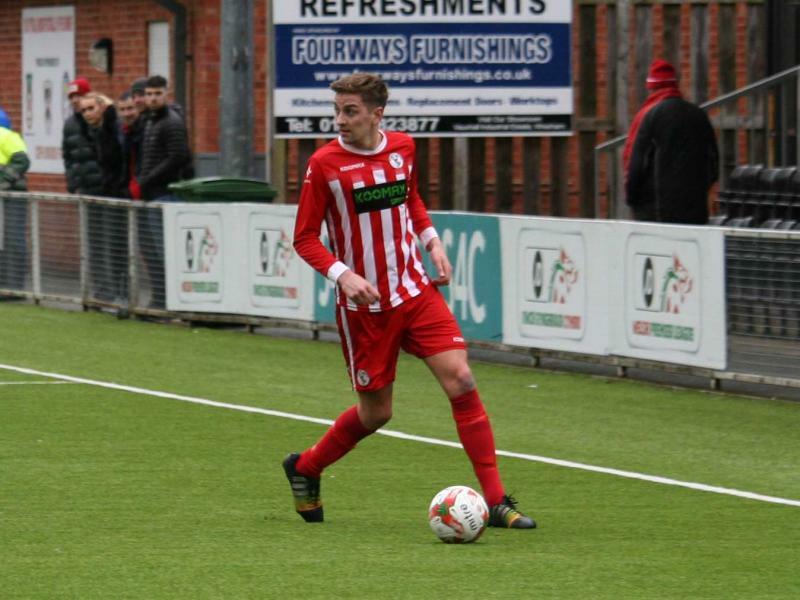 On 77 minutes Buckley won another corner, this time down the right and Roberts took his hatrick goal by allowing the crossed ball to pass through his legs and back heel it past the Albion keeper. 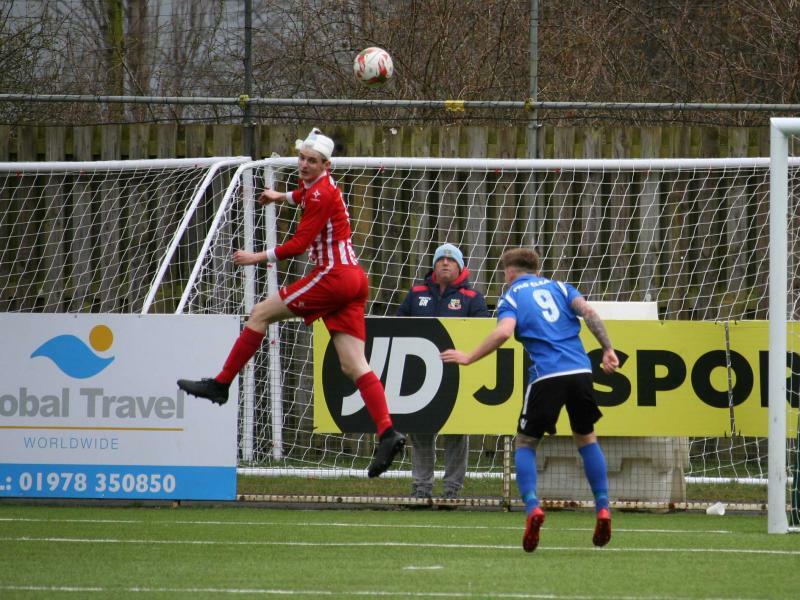 A fine way to crown the hattrick. 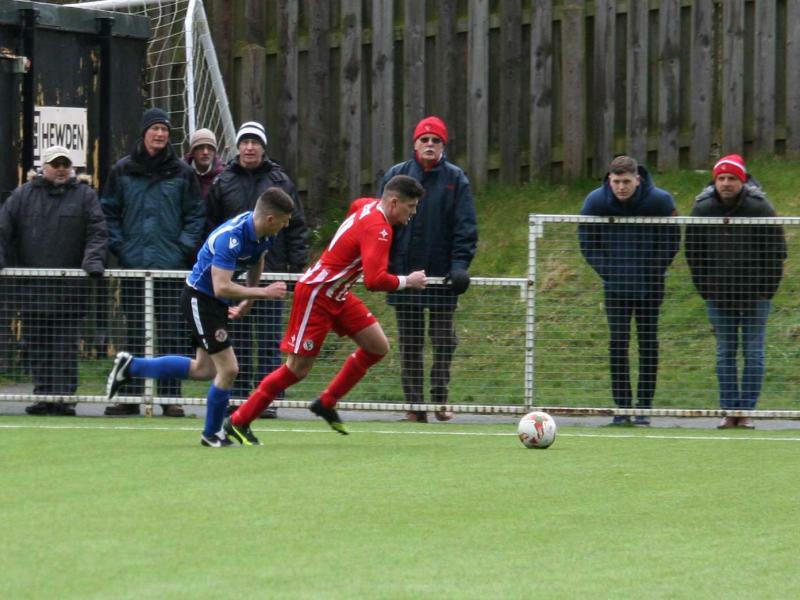 He was not finished there and following some neat dribbling down the right Aaron Williams picked Roberts out in the box for an easy tap in at the back stick on 82 minutes. 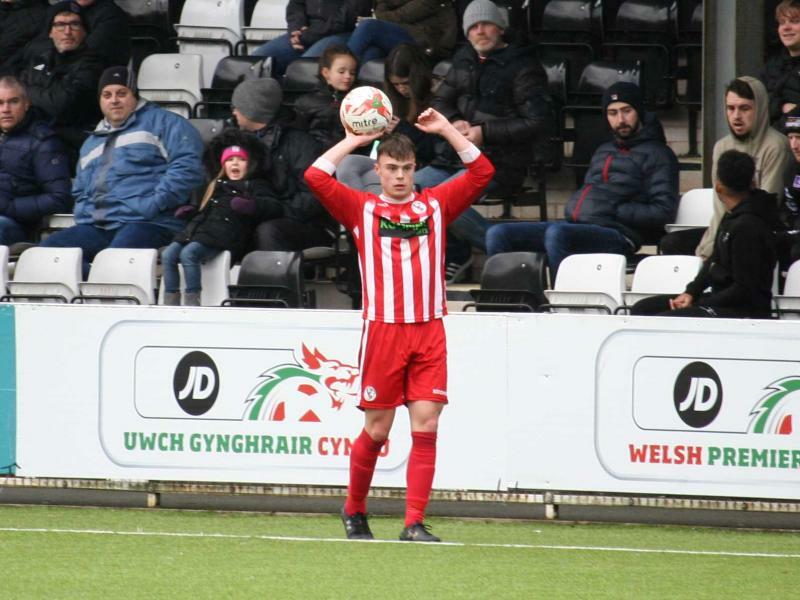 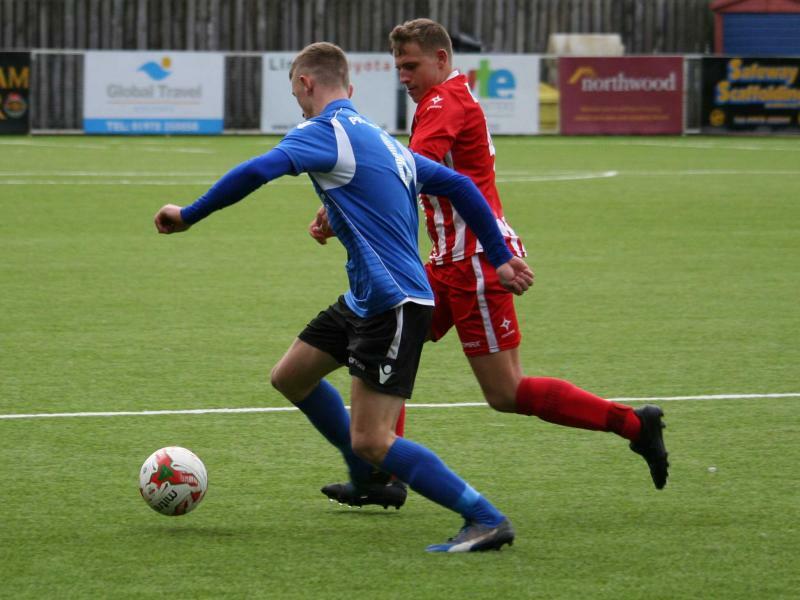 Buckley could have had more if Aron Williams, Shaun Tinsley and Aled Bellis had made more of the chances handed their way as Albion faded but, in the end, a five-nil score line is not bad away from home. 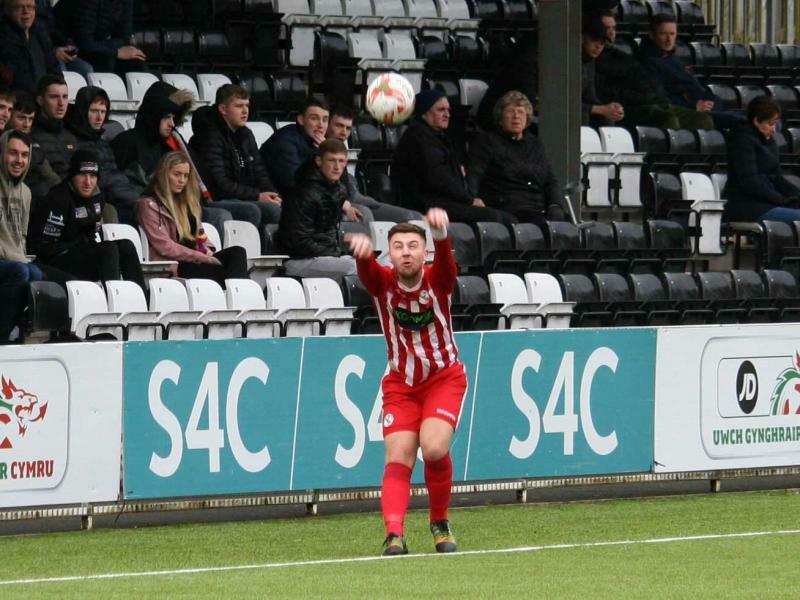 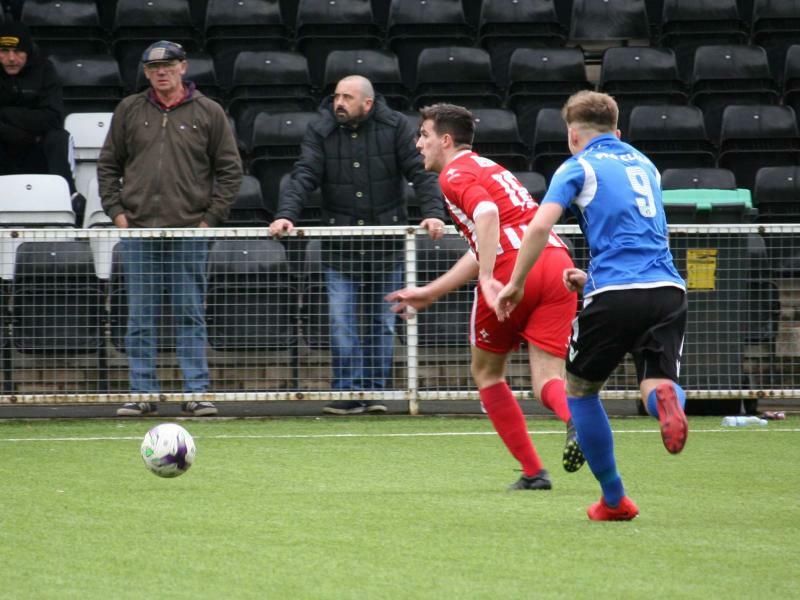 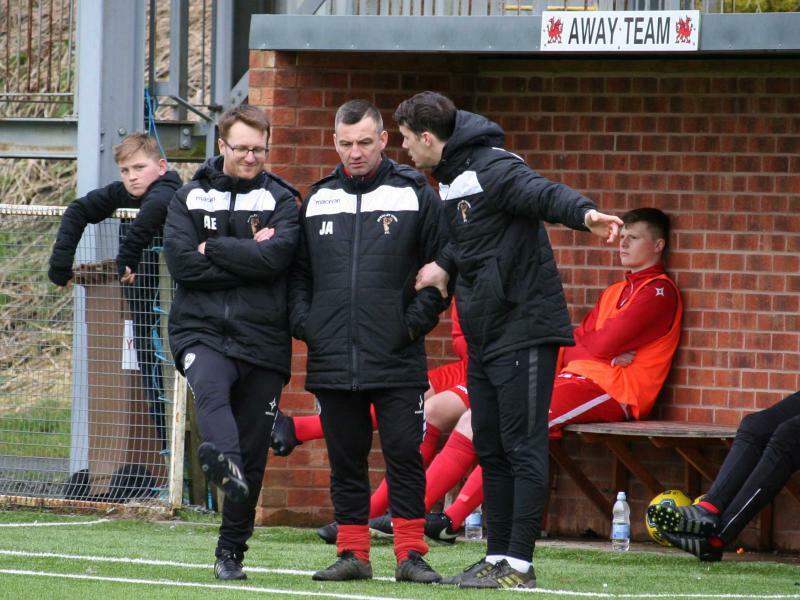 The squad was applauded off by a strong travelling support at the end of the game and we all now look forward to taking on 2nd tier opposition in Airbus UK Broughton at the Globe on Wednesday evening in the NEWFA Challenge Cup quarter final with a 7:30pm kick off.